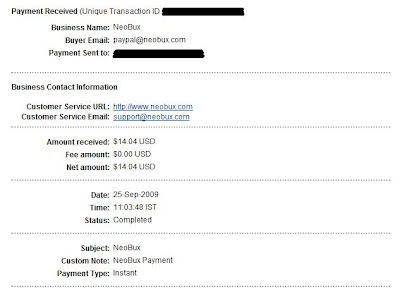 2 comments to "Another Payout from NeoBux:"
Just drop by from linkreferral. Stick to this one, Neobux is also the best PTC i ever had. Nice blog keep it up. Bookmarked your blog. Really I want to know about the acme search..